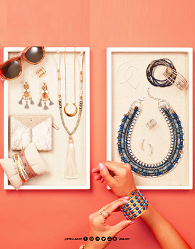 Earn Extra Cash as a Stella & Dot Stylist! January 22, 2017 January 22, 2017 Abby H.
I know some of you want to earn a little more money this year, and for some of you the hustles that I wrote about in this article aren’t in your scope of interest. Fear not, I found out about a way you can earn money, while selling cute, stylish jewelry with Stella & Dot. Just so you know, this post contains affiliate links, and I may be compensated if you make a purchase after clicking on my links. 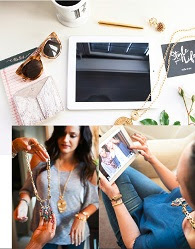 Stella & Dot is creating a whole new way of running a business! Fresh thinking. Irresistible style. Innovative technology. Modern selling. Your Business, Your Way! Even better! New stylists who join now through January 31st, will get up to $650 in FREE accessories! Tell your readers about this fun, flexible, and rewarding opportunity. – Join during this limited time offer—Now through January 31, 2017. – The stylist will automatically get $650 of free accessories. – Achieve $1000 of sales within the first 30 days and get a $199 rebate. That’s like joining for free and getting $650 of free accessories! Encourage your readers to be bold and discover the entrepreneur in themselves. They will find a job they will love when they explore launching their own business as a Stella & Dot Stylist! To work around the million other things you do. You call the shots. Earn 25% – 30% commission on your sales. No sales minimums, no quotas, no territories, no inventory or deliveries. Style that practically sells itself. This offer is only valid through 1/31/17, so if it interests you, click on the banner below to get started!